Estrogen is a naturally occurring female hormone that helps regulate the menstrual cycle and is important in the typical sexual development of females, says the Mayo Clinic. The body makes varying amounts of estrogen throughout the lifespan, with levels dropping off after menopause. There may be other reasons for a reduction in estrogen, like a medical condition or extreme weight loss. Raising estrogen levels can be done in a variety of ways, but it must be done under a doctor's care, as too much estrogen can have negative health effects. Gain weight, if you are underweight. Being underweight can impair your body's ability to produce estrogen, as well as the ability to menstruate. Returning to a healthy and appropriate weight typically results in an increase in estrogen levels. Ask your doctor about prescription estrogen-replacement drugs, usually called hormone replacement therapy, or HRT. HRT usually comes in the form of a cream or patch and may contain estrogen alone or estrogen and progestin, another hormone produced by the body. Because HRT use has been associated with risks like breast cancer, blood clots and heart attacks, it may not be appropriate for everyone, says the American Academy of Family Physicians. Eat soy products. The research is conflicting on soy products, but many people believe that the isoflavones in soy increase the amount of estrogen produced in the body. Other research has shown that the amount of estrogen that may be added is minimal, says breastcancer.org. While eating soy products alone may not increase estrogen levels, it may be beneficial; talk with a nutritionist or health care professional about this. 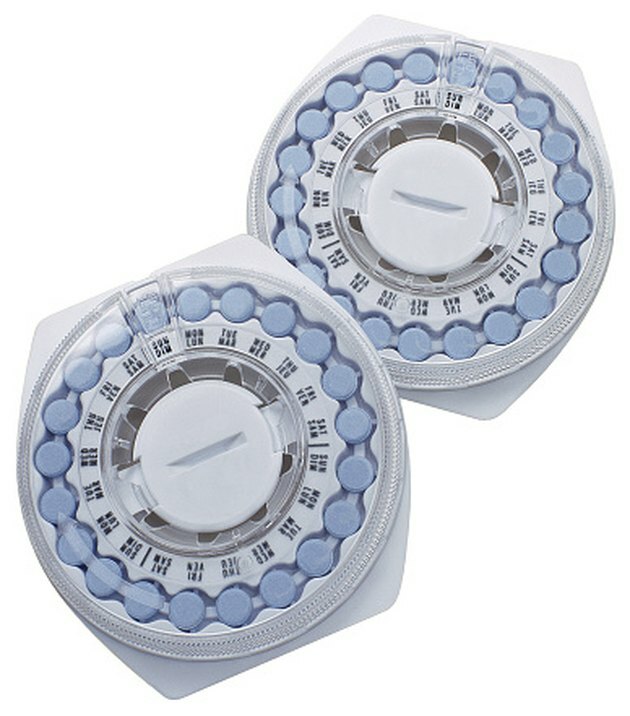 Get a prescription for birth control pills or the birth control patch, both of which can provide estrogen to the body and regulate hormones. The estrogen patch provides almost 60 percent more estrogen compared to pills, says orthoevra.com. These medications do carry side effects and may not be for every woman, so it is best to consult with your health care provider about all the risks and benefits. Buy over-the-counter estrogen supplements; these are usually available at health food stores and in some drug stores, in the vitamin aisle. Though these claim to be natural, they may interact with medications and may not be safe for people with certain medical conditions, so prior to buying them, ask your doctor if it is safe to do so. Boosting estrogen levels is not appropriate for everyone. Get your hormone levels checked accurately with a blood test and talk to your health care provider before deciding to raise your hormone levels. To ensure safety, the process of boosting hormone levels should be done only under a doctor's care.